The White House has issued a veto threat for two House bills to repeal parts of the Affordable Care Act (Obamacare). In a dishonest statement, the administration claimed that a bill putting into law the administration's unilateral decision to delay the employer mandate was "unnecessary", and that delay of the individual mandate would cause people to lose their insurance. A group of 20 conservative organizations and individuals, including FreedomWorks' Dean Clancy, signed a letter in support of these two measures. According to the rule taken up for the bills, they will be sent to the Senate as a single bill. HR 2667 is in response to the administration's illegal unilateral change to the law, and the veto threat is therefor inexplicable on policy grounds. The accompanying statement is just full of deceptive parsing and straw men. (Emphasis added throughout). The Administration strongly opposes House passage of H.R. 2667 and H.R. 2668 because the bills, taken together, would cost millions of hard-working middle class families the security of affordable health coverage and care they deserve. HR 2667, delaying the employer mandate, would not have any policy impact at all, since the administration is already delaying the employer mandate. 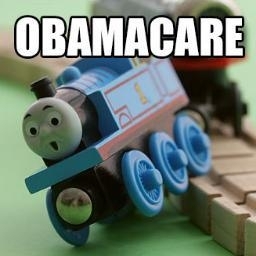 HR 2668, delay of the individual mandate, would not cost anyone affordable anything. It would merely not require them to buy it. If they want it, they can still get it, still subsidized if they qualify (and for that, they're on the honor system). The administration is admitting that the product it is pushing this summer is not only unaffordable, but that people will not purchase it even if it's subsidized -- unless they are forced by federal law to do so. I know the phrase "doubling down" is something of a cliche, but the administration has gambled that its unlawful conduct would not be challenged, and here throws its position directly in Congress' face. To this administration, Congress is not necessary. and H.R. 2668 would raise health insurance premiums and increase the number of uninsured Americans. If every employee who now receives coverage from his employer continues to receive that coverage, there will be no increase in the number of uninsured Americans. The number of uninsured Americans will stay the same, or possibly decrease as individuals make their own decision to purchase coverage. [...]Has the Administration now acknowledged that the Affordable Care Act is causing employees to lose coverage they currently have? If the President were presented with H.R. 2667 and H.R. 2668, he would veto them.